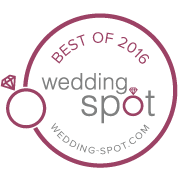 Have your wedding ceremony under the most iconic Neon sign in Las Vegas. The world Famous “Welcome to Fabulous Las Vegas Sign”. 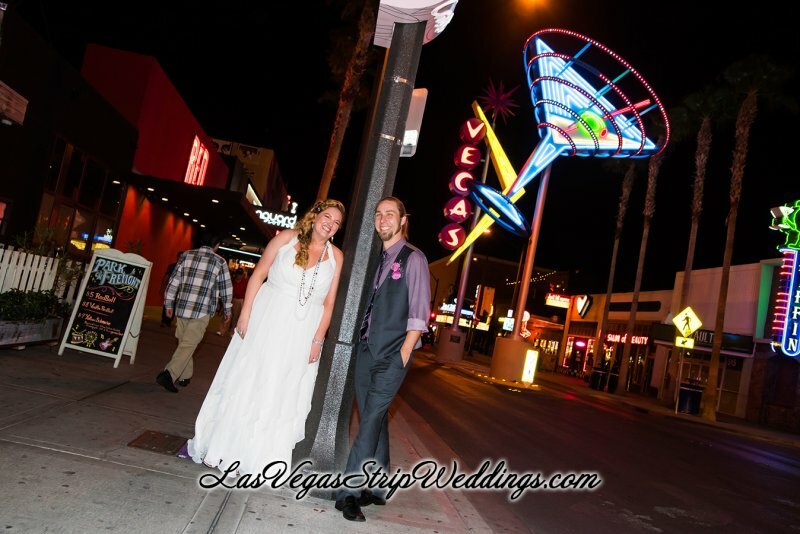 After your ceremony you will be on your way to downtown Fremont Street where you will experience Old Vegas at its best. Have photos taken in front of vintage neon signs. Fremont Street was the picture of Las Vegas that was included in virtually every television show and movie that wanted to display the lights of Las Vegas. The abundance of neon signs, like cowboy Vegas Vic, earned the street the nickname of Glitter Gulch. Fremont Street dates back to 1905, when Las Vegas itself was founded. Our photographer will create memories for you to share with friends and family. Traditional or Civil ceremony. Performed at the Welcome Sign. 2 hour complimentary limousine for Bride and Groom plus 4 guests. Twelve fresh roses arranged to form a beautiful bouquet in Red, White or Pink.